Seeing the potential of the unpacked breads industry in the Philippines, Gardenia Bakeries Philippines Inc. decided to put up a bakeshop that resembles those found in small communities and barangays. Big Smile Bread Station, just like the common Pinoy bakeshop, sells pandesal, pan de coco and ensaymada to cater to the mass market. “At least 70 percent of that will come from community bakeshops, so that’s the idea,” she added. 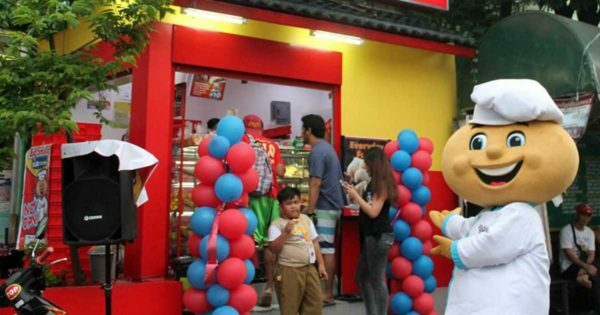 Now open for franchising, Big Smile Bread Station offers franchise packages starting at P208,000 to as much as P888,000. Currently, there are three store formats for the Big Smile bakery concepts. This includes six to nine-square-meter carts, nine to 12 square-meter-kiosks and full-scale stores that can be as big as 30 square meters. Here are some details about franchising. Location: Recommended location must have heavy pedestrian foot traffic such as terminals, central community area and public markets. The franchisee or the Big Smile acquisition team can propose a site, which will be subject for evaluation. Big Smile representative will conduct store location study. Franchise agreement will be carried out before signing of contract. Franchisee and employees will undergo basic store operations training.